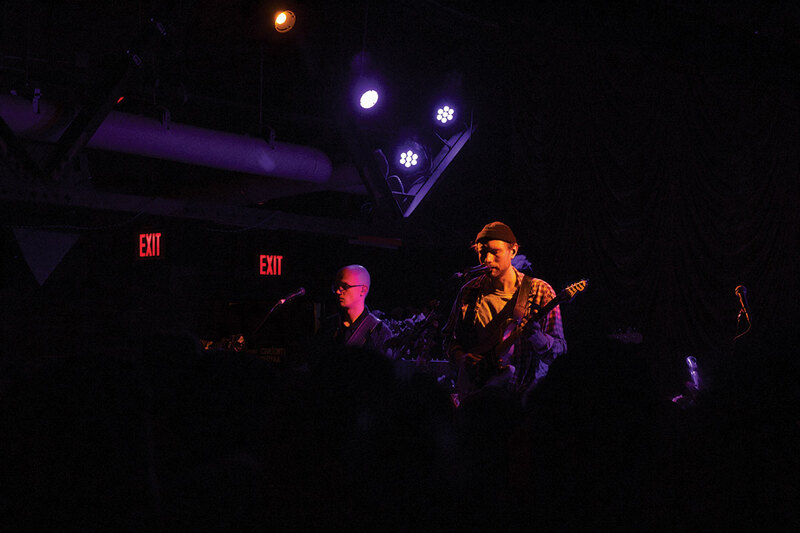 Novo Amor ended his springtime circuit of United States concert venues at The Foundry in Fishtown April 2. Even though Margaret was under the weather, her voice was still powerful, and she was able to connect with the audience. With half-hearted sarcastic jokes that were funny on multiple levels of sarcasm and humor, Margaret established a casual yet intimate vibe. 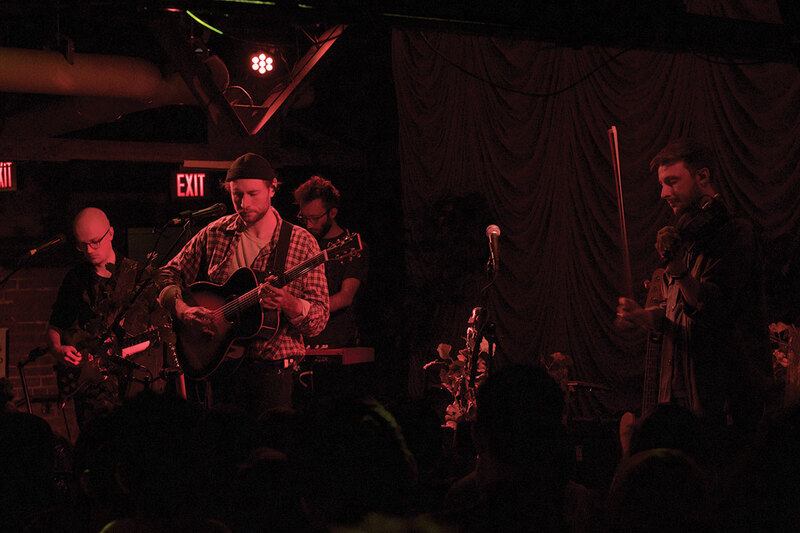 She called out some of her friends, Novo Amor and his bandmates, to play her last song with her, and their fleshed-out sound provided a foreshadow of Novo Amor’s set. Very shortly after Margaret had finished, Novo Amor, nee Ali Lacey, and company came out onto their muted, flower-covered stage. The tapestry behind the band and the metal foliage gave The Foundry a woodsy flair while maintaining its modern edge. Without saying anything else, the band went straight into the opening track of the album, bringing more energy and a faster tempo to the very serene song “Emigrate.” He followed with the next songs on the LP, “Birthplace” and “Utican,” and by the time the latter had finished, the crowd was entirely enthralled. Read The Triangle’s Review of “Birthplace” here. The arrangements on the songs were tweaked for the live performance, and he would sometimes even drop out of his trademark falsetto into his heartier, grittier singing voice. He was also coming out of a sickness, he explained, but he was over the hump. The same could not be said for Ed Tullett, however. The talented musician who collaborated with Ali Lacey on the album “Heiress,” along with creating many songs together, joined the tour to play their shared songs to live audiences. 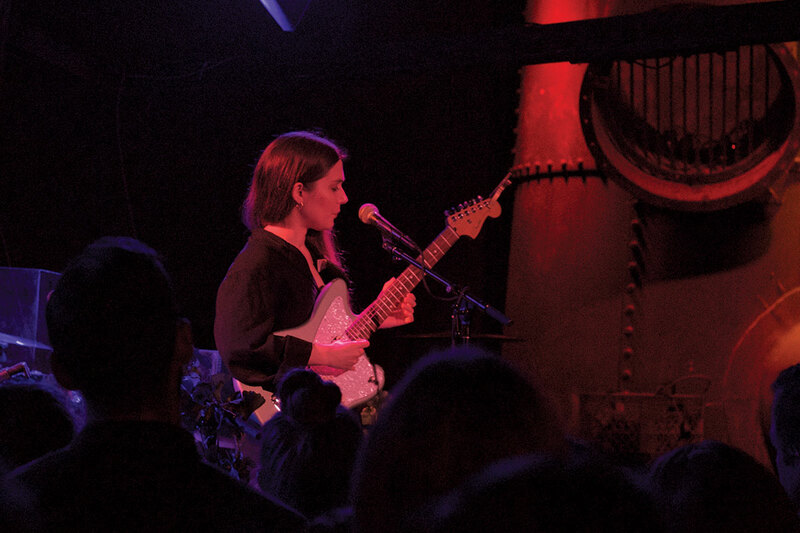 Other highlights of the night included a chilling rendition of Lacey’s vulnerable song “Carry You.” What is normally a guitar-forward song became a piano-heavy ballad, with Lacey playing and singing with a profound intensity. The joking, casual demeanor of Lacey garnered many laughs from the audience, and it felt very much like you were at a hometown show of someone you knew. Lacey had a bunch of paper scraps that had appliances written on them, and he threw out the papers to the audience. Whoever got the paper could go claim the random prizes. There was a coffee maker, a lamp, an electric kettle, bowls, and more. There was a combination of appreciation, exhaustion and happiness on the faces of Lacey and his fellow musicians, as they were all clearly worn from their time overseas. However, they turned in one fantastic last performance.